Dalwhinnie distillery is situated very high above sea level in the Grampian mountains in Highland region, very near to the geographical center of Scotland as well. That is why it’s one of the highest distilleries in Scotland, having some marine quality in its whiskies. Winter’s Gold is what I call a marketer’s whisky. It gets its name from the fact that it contains only whisky distilled between October and April, during the cold Scottish winters months. Dalwhinnie suggests you serve this dram straight from the freezer, in a chilled glass, just like Snow Grouse by the Famous Grouse brand. I call this the marketing talk to sell more of this whisky. Then again, this whisky has been distilled at 326 metres above sea level at Scotland only during winter time: it will have an affect on the flavors during the condensing stage of production. If the weather is cold, the new make spirit has less contact with copper while passing through the traditional worm tubs of Dalwhinnie. This makes the spirit flavor sulphury and after maturation it will evolve to honey and heather notes. But does this automatically mean you should drink it freezing cold? I guess I have to find out, you can read the “straight outta freezer tasting notes” at the end of this article. As part of Classic Malts range launched in 1988 by Diageo, only 10% of Dalwhinnie’s production is used for single malt whiskies. Rest of their malt is being used in the blended Black & White whiskies. 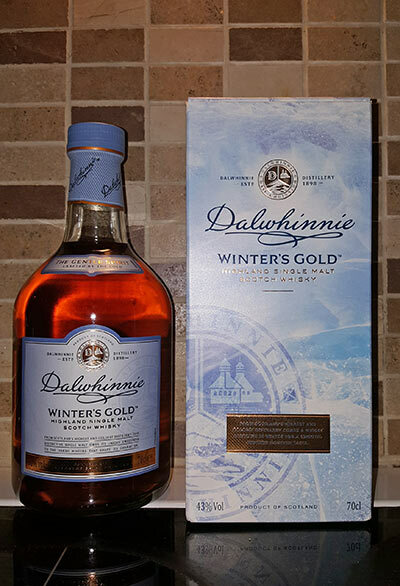 Dalwhinnie Winter’s Gold has been matured in American Ex-Bourbon and European Ex-Sherry oak casks. This dram made me think like Anna from the movie Frozen. Anna is a fearless optimist and I surely felt like one while sipping this single malt made for freezer. 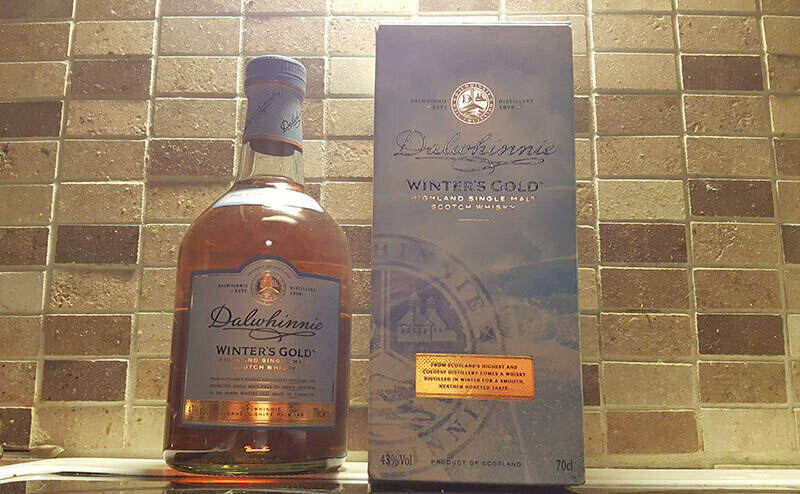 I was surprised to see that Dalwhinnie can hold up to its good track record, even when making NAS (non-age stated) whisky with marketing hype. 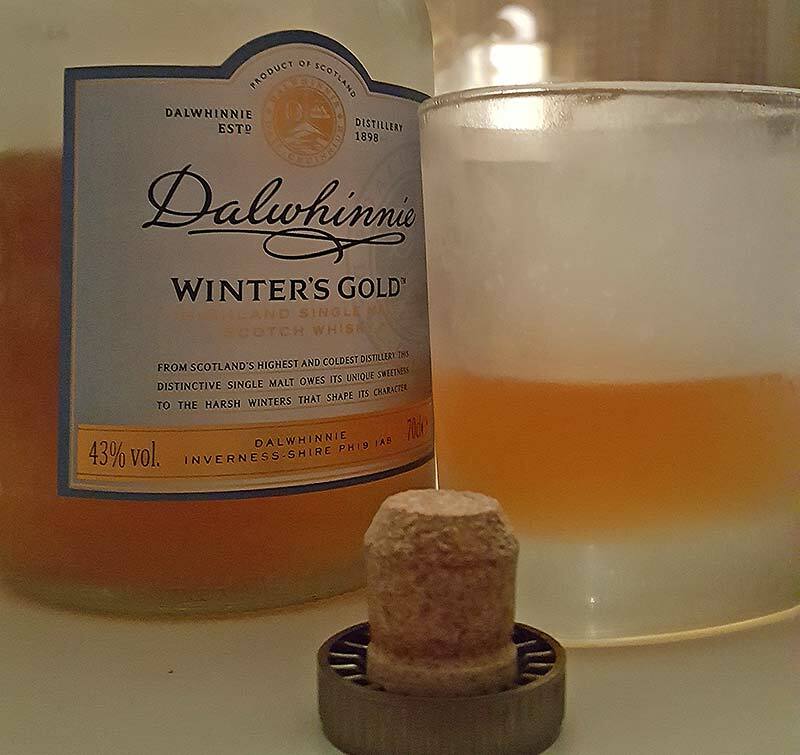 Winter’s Gold is nothing extraordinary, but it is a decent whisky. Reminding me of Dalwhinnie 15YO, which I really liked. Nose: Spices and oak, sultanas and dark toffee. Some sweet and slightly bitter fruity notes, honey with orange peel. Wee smoky as well, quite enjoyable. Taste: Starts with malt and tea notes just like the 15 year old, but unlike the crispy 15YO, these notes are herbal and spicy, lot darker. This whisky is mellow, yet characteristic. Orange peel and honey notes stand out from the mellow palate. Few drops of water makes it even more mellow. Finish: Quick and very one-sided compared to the palate. Nutmeg and little bit of musty smoke. 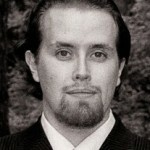 I liked Dalwhinnie’s 15YO very much and I must say, this marketer’s whisky is quite nice. Easy to enjoy, an okay dram worth over 80 points (which was a surprise). Honeyd spirit and slightly fruity and earthy aromas. Quite pleasant actually. Palate is not as pleasant freezing cold but it’s okay. Floral and earthy, like ground frost in a glass. Spicy finish gives a nice touch but I must say, this dram is probably as good as any other decent whisky out of the freezer.